CHICAGO, January 23, 2019 – Wilson has officially announced the modernization of a timeless classic with the release of the all-new Wilson Staff Model irons. The company has a rich history of forged “blade” irons, many of which have been played by game’s greats. 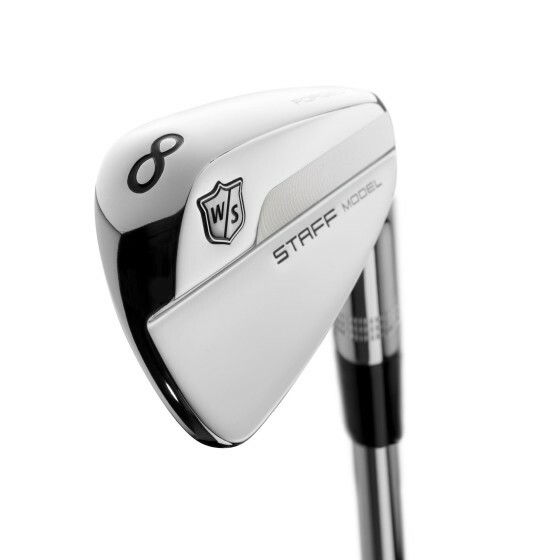 The new generation of Staff Model irons are an appropriate continuation of the brand’s most cherished product lines. The Staff Model irons utilize a shape similar to that of FG Tour 100, while retaining Fluid Feel Hosel construction, which helps to move weight and enhance feel. This new Blade also features a milled diamond pattern which frames the score lines. Additionally, a milled face provides players with improved control and feel. The forged 8620 carbon steel is combined with a high polish mirror finish to give the blades a premium finish. For optimum feel, the irons also feature a bore through fluid feel design. After racking up two PGA Tour victories with the FG Tour 100 irons, Brendan Steele went back to the drawing board and collaborated with the Wilson LABS team to assist in the development of the new Staff Model irons. Brendan challenged the team at Wilson to create a more modern aesthetic, without sacrificing performance. Steele felt it was crucial to keep the execution consistent and was eager to incorporate his feedback on design, specifically maintaining a thinner top line at address. After two years of development, the new Staff Model blades were finally brought to life. Steele’s hands on relationship with the brand has been critical to the development of new Wilson golf products. The two sides have worked very well together over the past few years, which made it a no brainer for Steele to officially extend his longstanding relationship with the brand for three more years, through 2021. The performance of the new irons speaks for itself. Gary Woodland was the first to debut the prototype irons and has seen early success. In his first event at the QBE Shootout in the Bahamas, Woodland made a hole-in-one on a 202 yard Par 3. Just three weeks later, at the Sentry Tournament of Champions in Maui, Woodland led the field in Greens in Regulation, with an impressive 87.5% for the week using the Staff Model irons. 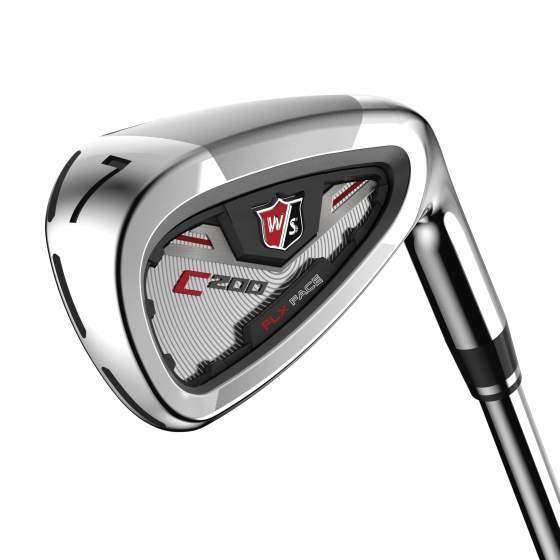 Wilson Golf today announced the launch of a new iron designed to dramatically improve player distance and accuracy, called the Wilson Staff C200™. Wilson Labs, the innovation hub at Wilson Sporting Goods, Co., engineered these irons for the Crossover (C) player whom Wilson Golf defines as a mid to high handicap player seeking distance and accuracy, but in a more playable, midsize offering. At the core of the C200 clubs is cutting-edge, proprietary, patent-pending FLX Face™ Technology. This technology minimizes the contact points between the body and thin face. In fact, 76% of the thin face is actually free from the body of the iron, allowing for maximized face flex upon impact. These voids, known as Power Holes, are literal holes that go completely through the head and provide the space for the face to flex. They are then filled with a TE031 Urethane to provide outstanding feel for the game improvement player. “We knew we wanted to create a completely new club – one with easy-to-understand, visible technology. The distance, forgiveness, and feel of the C200 irons exceeded even our high expectations. In our Wilson Labs play-testing, we are seeing results that far surpass what traditional irons currently offer,” added Vrska. Wilson Staff developed the F-C-D system to meet the technology needs of every golfer. Defining players into three categories, Feel, Crossover and Distance, this system matches club features and benefits with individual playing styles. About Wilson Sporting Goods, Co.